The Thomas Fires consumed local coastal cities, but boaters showed they were prepared to handle such emergencies. VENTURA COUNTY — The Thomas Fire, which steadily engulfed areas of Southern California in flames, recently made history as the state’s worst fire ever. In an especially horrific year for California fires, many have lost their properties and more during the holiday season, a time when normally families come together in front of the fireplace, not the other way around. Ventura and Santa Barbara counties have recently experienced some of the worst damage in California. 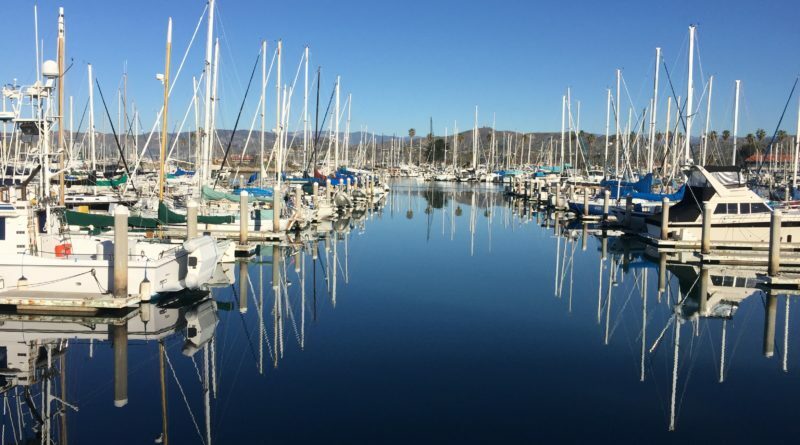 Janet Lawson, a member of Ventura Yacht Club, also commented on the poor air quality, stating, “The air quality has been horrible. Some members have left the area because of the smoke. Despite the blazing flames, which continue to devour surrounding forests each day, Ventura Harbor has become a safe haven, a real-life safe harbor where evacuees can flock to for a barbecue put on by Ventura Yacht Club and the resilience of its citizens are determined to carry on with the annual boat parade. Harbor Master John Higgins elaborated on the scene, where blackouts and strong winds have been major issues. Higgins proudly stated the labors to help the evacuees were overall a success. With the rapidly blowing Santa Ana winds, the fires have been difficult to contain and began spreading to Santa Barbara. The Thomas Fire surpassed the record as the largest fire in history, which was previously held by the Cedar Fire. Effecting areas in San Diego County in October 2003, the Cedar Fire burned over 273,000 acres of land. During the Thomas Fire, the state of California spent $110 million fighting the fires in what has also been a record year for firefighters dispatched. Firefighter Cory David Iverson, 32, was a victim of the fire. In response to the disaster, United Way of Ventura County and United Way of Santa Barbara have combined to create a joint fund with 100 percent of the proceeds going to the victims of the Thomas Fires and American Red Cross in the region. If you are interested in donating or receiving updates on how you can volunteer, visit the website unitedwaythomasfirefund.org or call 805-485-6288.